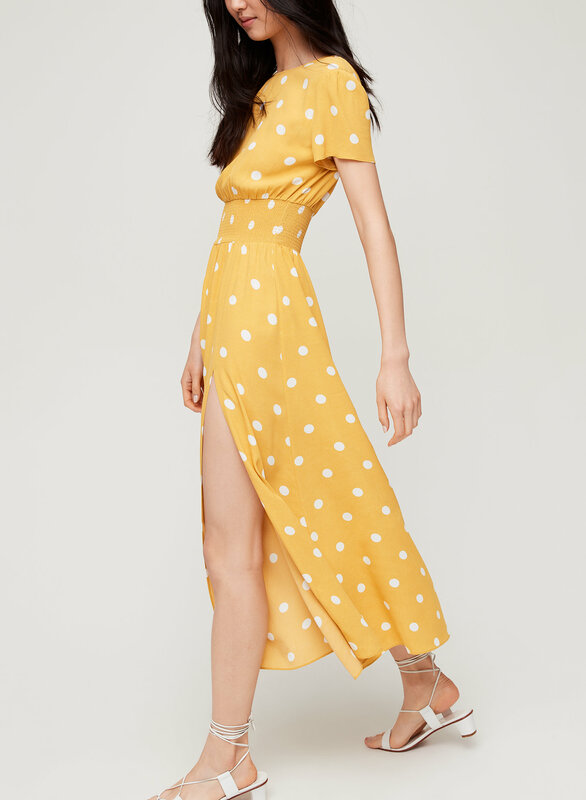 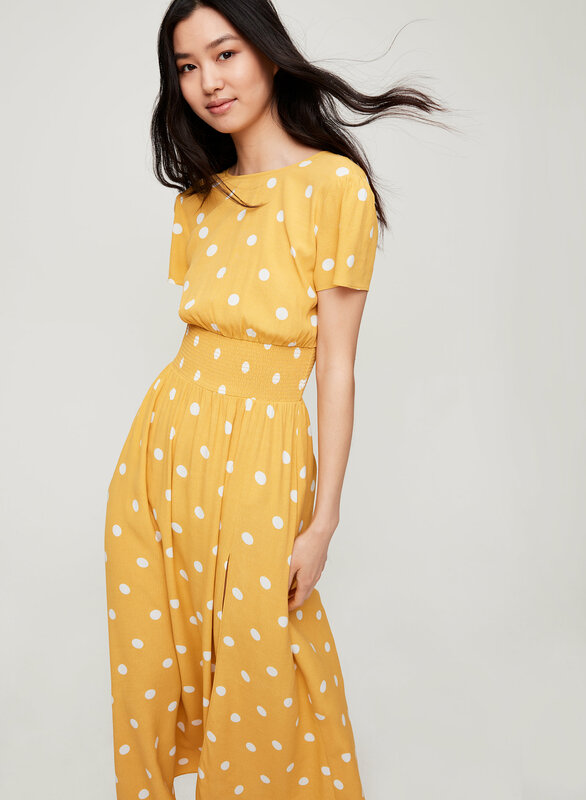 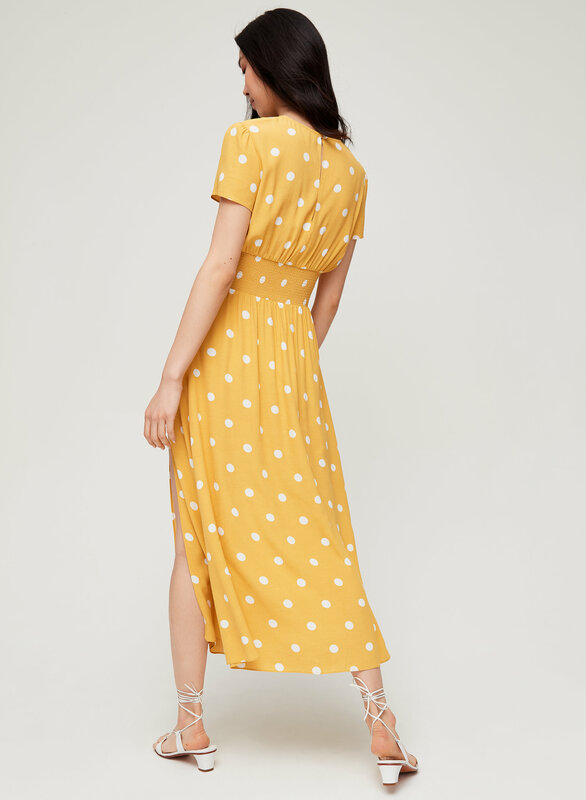 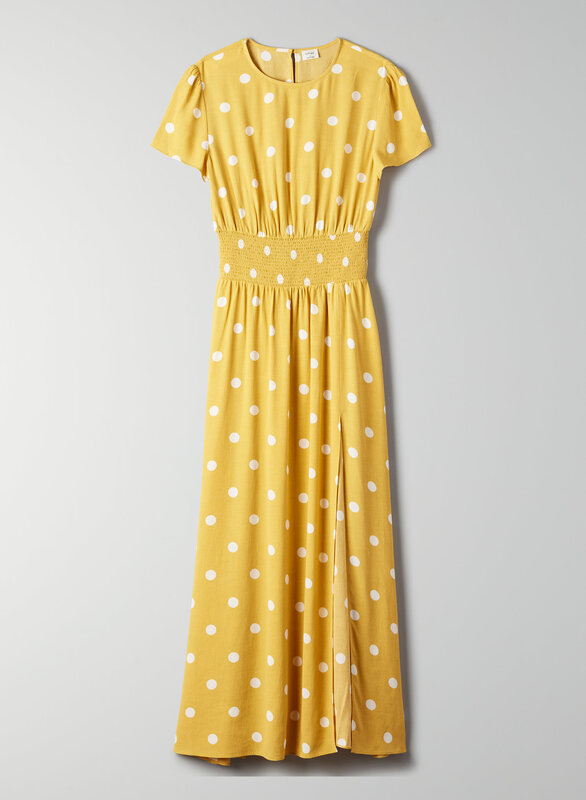 This is a fit-and-flare dress with a crew neck, puff sleeve and smocked waist. 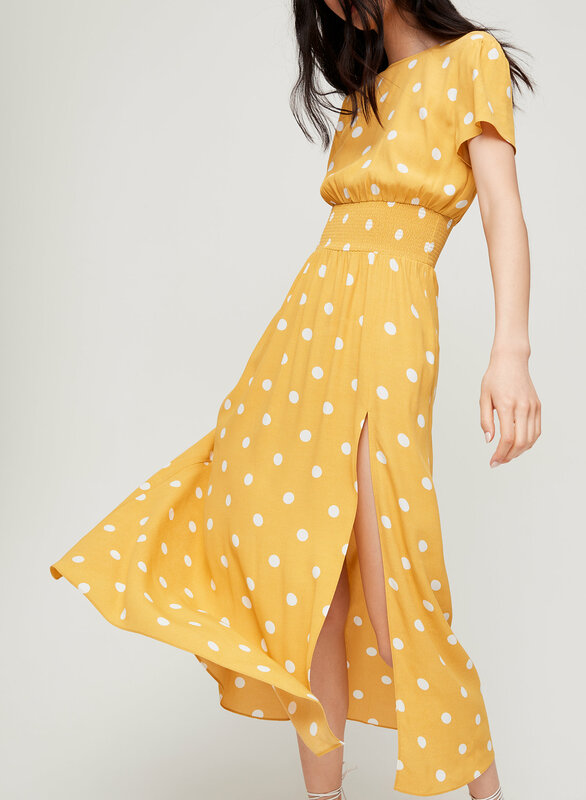 It's slit to the thigh and made with a pebbled crepe fabric. 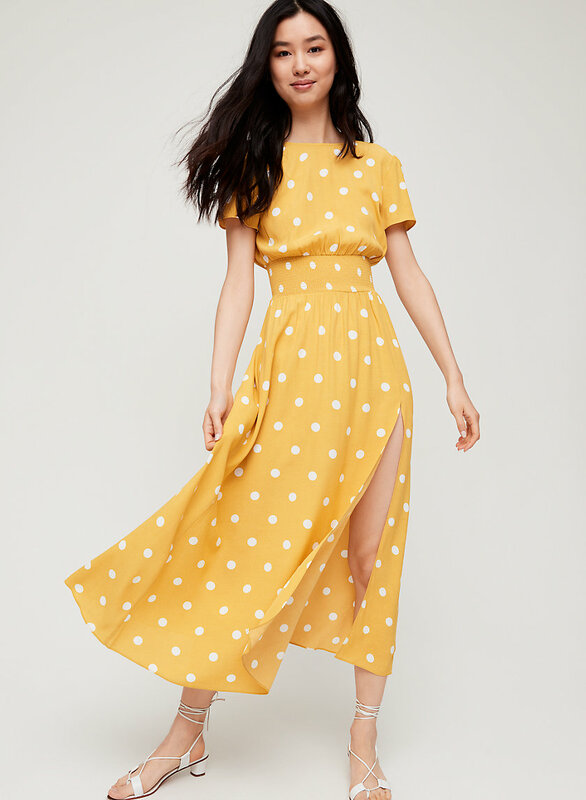 The custom polka dot print is exclusive to the brand.